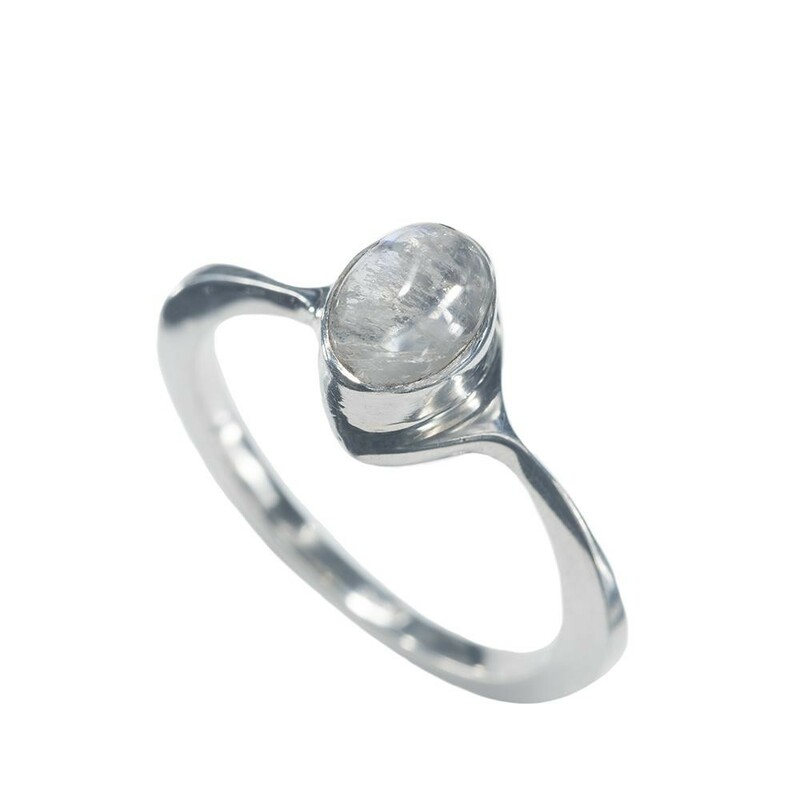 Alluring Rainbow Moonstone Ring is a delicate, finely-crafted, minimalist style ring wrapping a glowing, oval shaped Rainbow Moonstone. Simple and beautiful jewelry design with regal elegance and a Rainbow Moonstone to reduce the tendency to over-react, as well as bringing about flexibilit... Read more. Alluring Rainbow Moonstone Ring is a delicate, finely-crafted, minimalist style ring wrapping a glowing, oval shaped Rainbow Moonstone. Simple and beautiful jewelry design with regal elegance and a Rainbow Moonstone to reduce the tendency to over-react, as well as bringing about flexibility in attitudes and providing relief from stress. Intrinsically handcrafted jewelry in Bali. *Dimensions given may vary according to size.